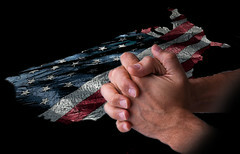 Today is the “National Day of Prayer” in America! So what? Will it make a difference in the lives of Americans? Not until the church STOPS being “politically correct!” Being politically correct is NOT what we were called to be.